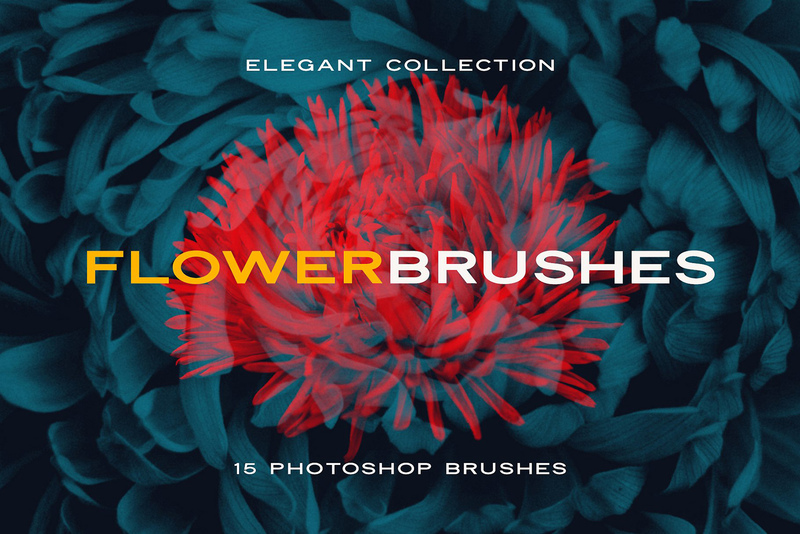 This botanical collection includes 15 Photoshop brushes, created by nature herself — we’ve just taken them and turned into a powerful tool for your design projects with a couple of peculiar adjustments. Every single blossom is way too good to be the only item of your composition, so why not combine several ones together? Play around with transparency and layers to carry out your own unique flower. Plant these beauties into your stationery, packaging or printouts; they’ll never wilt in your apparel designs, banners, and advertisement solutions either. Let this bouquet enrapture and gratify your audience!